Give us a call today and we will get you set up with an appointment. We look forward to meeting you! Does your iPad screen need to be replaced? iDeviceMD is proud to announce that we are doing iPad screen replacements in Phoenix AZ. Our iPad screen replacements are done fast, but more importantly, done right. And our prices are at a price point that you can afford. To find out more, call iDeviceMD today. Did your drink spill on your iPad? Accidents like that happen all the time. Phoenix’s iDeviceMD provides affordable iPad water damage repair service. We use high-tech cleaning equipment to fully restore iPads with water damage. We Want To Be Your Phoenix iPad Repair Company! At iDeviceMD, we know that there are tons of repair companies all over the city of Phoenix. We don’t want to be just like the other ones. We want to be different. We want to be your iPad repair company in Phoenix. We want to be the one you call on when any iPad problem needs to be solved by a skilled iPad repair company. Call us anytime to find out more. We value our customers! 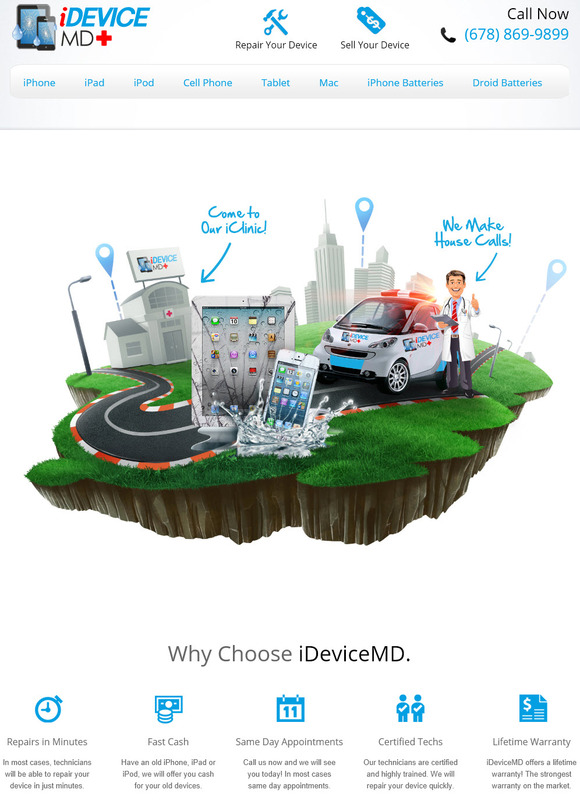 iDeviceMD offers the very best in mobile device repairs for residents of Phoenix and the surrounding areas. We will even come to your location and in most cases, make the necessary repairs in less than an hour.